Six months after the events of the first movie, Morpheus receives a message from Captain Niobe of the Logos calling an emergency meeting of all of Zion's ships. Zion has confirmed the last transmission of the Osiris: an army of Sentinels is tunneling towards Zion and will reach it within 72 hours. Commander Lock orders all ships to return to Zion to prepare for the onslaught. Morpheus asks a ship to remain in order to contact the Oracle, in defiance of the order. The Caduceus receives a message from the Oracle, and the Nebuchadnezzar ventures out so Neo can contact her. One of the Caduceus crew, Bane, encounters Agent Smith, who takes over Bane's avatar. Smith then uses this avatar to leave the Matrix, gaining control of Bane's real body. In Zion, Morpheus announces the news of the advancing machines to the people. 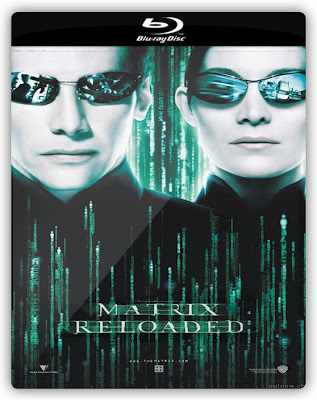 Neo receives a message from the Oracle and returns to the Matrix to her bodyguard Seraph, who then leads them to her. After realizing that the Oracle is part of the Matrix, Neo asks how he can trust her; she replies that it is his decision. The Oracle instructs Neo to reach the Source of the Matrix by finding the Keymaker, a prisoner of the Merovingian. As the Oracle departs, Smith appears, telling Neo that after being defeated, he refused to be deleted, and is now a rogue program. He demonstrates his ability to clone himself using other people in the Matrix, including other agents, as hosts. He then tries to absorb Neo as a host, but fails, prompting a battle between Neo and Smith's clones. Neo manages to hold his own, but is forced to retreat from the increasingly overwhelming numbers.